SmartThings has fixed the bug that would delete the parent SmartApp when the last child device would be deleted. It is now safe to install your presence sensors into your main (and most likely the only?) webCoRE instance you installed. As a result, I have opened the Android beta to anyone who wants to test. Please note this is a beta product and requires that you request an invitation. Google requires that you provide a gmail or Google Apps email address as part of the process. You will need to visit a link after your email address has been entered in the test group. The Android app is in its infancy and a lot of visual issues may be present. Location is updated when there is a change of at least 10m and not more often than 1 minute - this will change later to about 500m and 5 minutes to preserve device battery. Please make sure to update the Smart Apps and the DTH to the latest - this is required for the Android app to work. The webCoRE version has been preserved to avoid having everyone update. This step is recommended because there is currently a feature of SmartThings that silently deletes a SmartApp instance when the user deletes the last child device. That means that adding a presence sensor to your main webCoRE instance and then deleting it from the ST app or IDE will silently and irrevocably delete that webCoRE instance along with all of its child apps (pistons). SmartThings is working on improving this feature and this step will no longer be required when that is done. Until then, it is just safer if you use a blank webCoRE instance for presence purposes as you do not risk any pistons. Go to your ST app and visit the Marketplace, go to My apps and install webCoRE the same way you did the first time - choose a name that’s different than your main instance’s name so that you can tell them apart, choose a password, don’t worry about adding any available devices or contacts, just tap Next, Next, Next, Done. A new (and blank) instance of webCoRE should now exist in your Automations > SmartApps tab. If you haven’t done so yet, visit https://dashboard.webcore.co and register a new instance (click on the Options and Register another instance). Open the webCoRE instance in your ST app and tap Register a browser. Use the code provided in your browser and click Register - you are now logged into the new instance - you can switch between the instances by clicking the instance dropdown at the top left of the interface. Go to Settings and then Places. Send @ady624 a PM with the following information (fill in the blanks). Make sure to provide a gmail or Google Apps email address - you will need to login with it when following the opt-in link. Visit the opt-in link here after you email address has been added to the test group. Become a tester and a link will be provided to install the app. KNOWN ISSUE - it appears that setting up the sensor does NOT work the first time around - clicking does nothing. Kill the app and open it again to fix this. I am looking into what is causing this. If you took the advice on step 2 and installed the sensor in a new and blank webCoRE instance, you need to visit your primary instance in the ST app and go to Settings > Available devices > Sensors and add the newly created presence sensor to the list so your main webCoRE instance can access it. By default, the webCoRE instance used to create the presence sensor will automatically gain access to them so you don’t have to add the sensors to the available devices list, but remember you installed the sensors in a different instance. Can multiple Life360 locations be monitored in Webcore? Will this work with two phones at the same time? I am not sure how this would be implemented to know when both my wife and I enter and leave certain locations? Yes, request invitation for you and your wife’s Google account. When it’s installed, you’ll login into webCoRE with same credentials as you do on your dashboard on both phones and follow directions above. You can rename the webCoRE device handler for each phone as well. When I attempt to send a message to @ady624, I get a warning that I cannot send messages to that user… Any suggestions? Oh, I think I know what’s up. I’m not yet enabled to send messages, but, that wasn’t that clear. At ST, if I click on an atmention, I get a user info popup with a “Message” button. Clicking that allows me to generate a message to said user. Here, clicking an atmention popsup a user info popup WITHOUT a “Message” button. That was what I tried first. I didn’t realize that the “Message” button was missing, I just thought it was not the way to create a message. I was undaunted and found and clicked on the envelope at the top of the browser, to the left of my profile picture. That gave me a “New Message” button, so, I clicked that. Once I filled out the resulting form (the text of my request for the Beta inclusion), I got the “cannot send” message. So, I’m guessing that, understandably, y’all limit new users’ PM’ing ability. But, there’s an unintentional, partially-working sneak circuit by way of the envelope button near the profile picture containing a New Message button, when one shouldn’t be shown that option. HTH or I REALLY don’t understand what’s going on. SmartThings reported that the bug requiring a new instance has been fixed so once I throughly test that, I will open the beta for Android. iOS does not offer an open beta option. Hey guys, finally got around to registering over here. 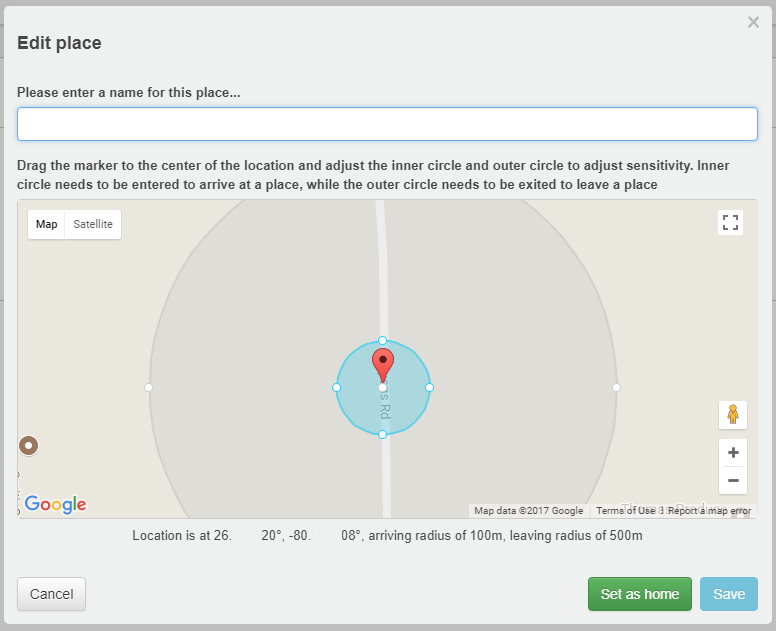 How does webCoRE presence go about determining location? Specifically for Android…is it tied in to Fused Location Provider? How frequently does it poll for location? I have been using Tasker/Sharptools/AutoLocation for awhile and it was working great until I took the Android Oreo update, Google changed how background apps can access their Fused Location Provider API and what used to work quickly and extremely accurately for me is now in the toilet. Wondering if I should move over to this method instead. I’m wondering this as well since so far since I installed the app and created a presence device I have had very few updates in my location and have basically never left home since I created the presence device. I’m running Oreo on a Pixel Phone and have confirmed that the app does have access to my location. The Android beta is open, just follow the instructions. The iOS beta is invite only (Apple does not offer an open beta). Since we can now add the presence sensor to our main webCoRE instance, is it safe to remove the second instance in the smartapps tab? I tried to remove the second instance and got an error. So if it is safe to remove, how do we do it? You can delete the presence sensor and install it in your main instance - but you’ll have to replace it in all the pistons you used it in. Right, but I think our question is how to remove the second install of webCoRE? In my smartapps tab, I have 2 webCoRE apps installed. Since we are now able to install the presence sensor in our main webCoRE instance, we don’t need the second install of the app. If you are unable to delete the app, try deleting the presence sensors belonging to it first, then delete the app. If that doesn’t work either, perhaps the IDE can help. Uninstalling webCoRE is hidden inside a submenu in the webCoRE app to avoid accidental removals. Got it installed here - my question is: Does this need to be installed like this for every resident of the house? If so, does the presence sensor need to be named differently for each person? You need to install the webCoRE app on every phone and run it. Yes, name each one differently.